Irrespective of the stream you are in, CBSE exams play an important role in the realm of education. The examination is important for everyone as they help in deciding the future. To clear the examination, students need to understand that is better to understand the concepts rather than just cramming. The most important strategies need to be adopted by the students to perform well. They need to follow a proper schedule for studying well. A plan in which all the topics are covered must be included as a part of preparation. Students need to study according to it. A proper time table must be followed and studies must be planned accordingly. Another thing while attempting latest CBSE class 8 science question paper is making of notes. These notes contain important points of topic. In science, students should take help from diagrams. Use of diagrams in the science subject helps in understanding the concepts easily. Solving previous year question papers is another better idea. It helps you understand the exam pattern and also the kind of questions that are asked in the examination. Students also get to know about the difficulty level of examination by solving model papers, solved question papers and practice sets. Solving the previous year’s papers also helps them in managing time and understanding the question strategies. Group study should be encouraged. Students should not worry about the examination and discuss topics with their friends. With consistent brainstorming sessions, students will be able to find out their weak areas and give more time to those sections where improvement is required the most. Students should know the important chapter and give importance to only those. Students appearing for CBSE board examination must adopt a strategy that lets your familiarizes them about the latest exams. To assess yourself at the end of the week, try solving the paper multiple times. Just before the day of examination, focus on important key notes that have been prepared earlier. You must revise whatever has been studied earlier to answer even the trickiest of questions easily. Exercising and meditation are another important thing to consider as it helps in improving the performance level. Similarly, eating healthy diet is equally important. By eating healthy, your body gets stable source of energy that keeps the body fit. Nutritious food at regular intervals makes the mind alert and enhances grasping power. 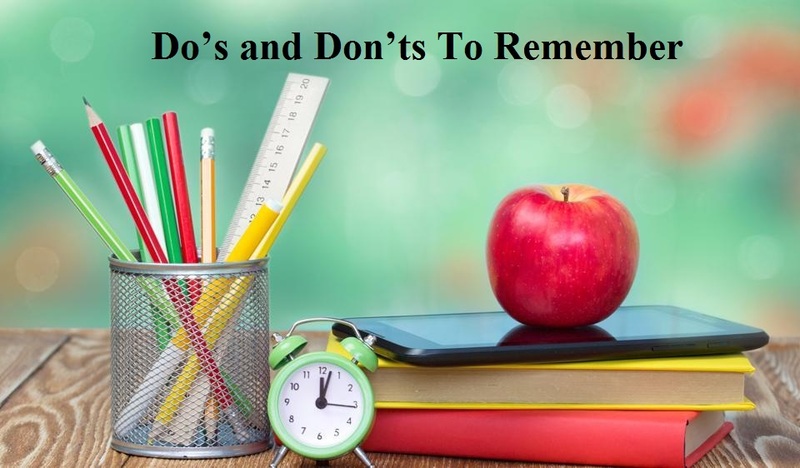 As per the expert advice, it is also recommended to stay away from distractions and concentrate more on the studies. Students are also advised to keep themselves away from mobile phone. A clear focus is required to stay ahead and score well. So, if you follow these tips with consistent practice, you can acquire immediate success. By successfully attempting the board examination, you will be able to build a strong path to your future and professional career. So, take time, relax and start your preparations with a well-defined strategy to succeed in the examination.